It can be exhausting to capture a great photograph of an animal. They are not very interested in the camera, and very often shy away from it. However, it is a fantastic moment when you can manage the situation successfully and get the result you wanted. While this looks like a studio portrait, it is not. Rather, it is a beautiful captured moment. 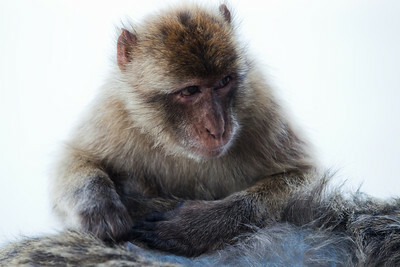 I found this great Macaque during a vacation to Gibraltar. They live free, wild on the Upper Rock and they are considered Gibraltar's unofficial national animal. Do you like this photo? Get Your Print. 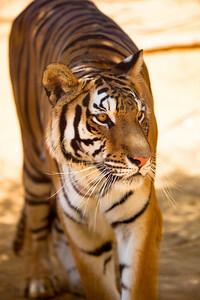 The Bengal tiger is highly populous in India, especially on the eastern lands in the mangrove forests of the Sundarbans. They are solitary animals that do not like to share their hunting grounds. Interesting fact about these tigers is that they have different dens within their home range; they simply use the most convenient at the time.Do you like this photo? Get Your Print or Get It as a wallpaper. 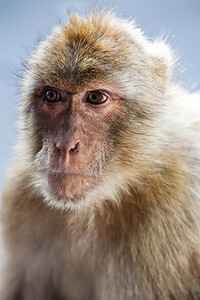 I was in Gibraltar a few years ago, when I was able to photograph the Macaques that live on the Upper Rock. I was lucky to find this small one playing on her mother's belly.Do you like this photo? Get Your Print. 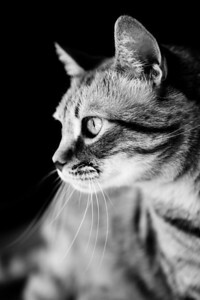 I took this shot during a photo session with Mai, a friend’s cat. He was not very cooperative, as cats sometimes can be, but I managed to get some good shots from a low standpoint.Do you like this photo? Get Your Print. 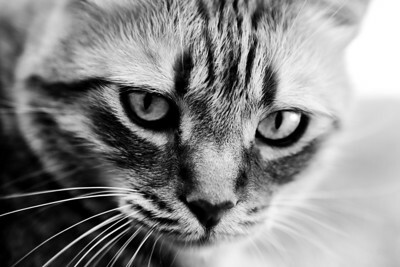 Sometimes you only need a little help to get a cat focused in a photo session. This time, the little help came from a plastic rat. Do you like this photo? Get Your Print. The Bengal tiger is highly populous in India, especially on the eastern lands in the mangrove forests of the Sundarbans. They are solitary animals that do not like to share their hunting grounds. Interesting fact about these tigers is that they have different dens within their home range; they simply use the most convenient at the time.